We work side-by-side with our clients. By working together as cross-functional teams, our engagements develop ownership at an early stage, and deliver solutions that are specific to each client’s circumstances. We believe that this collaborative and flexible approach is the best way to make constructive change happen in large organizations and, more importantly, the only way to ensure sustainability. 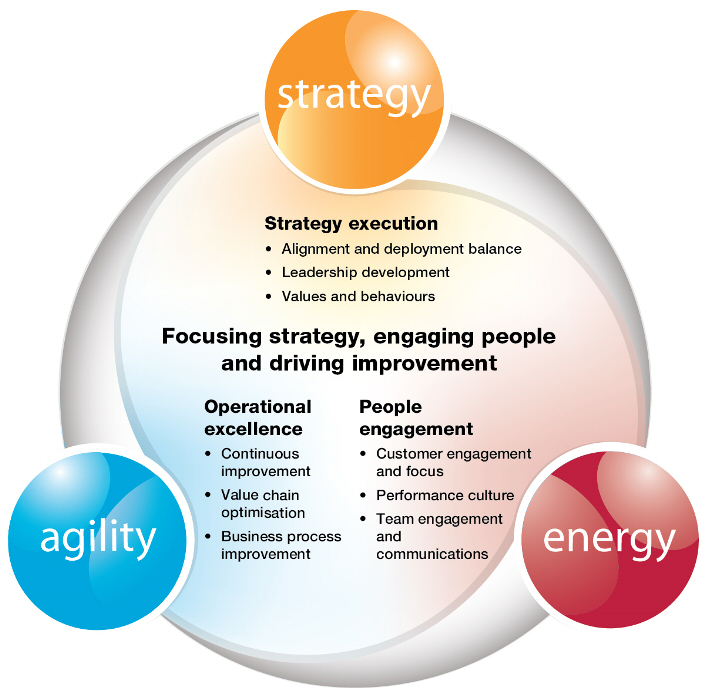 Our service model provides a clear illustration of how the elements of strategy implementation, operational excellence and people engagement are interrelated. We believe that sustainable results – those which have a lasting, significant impact on performance – are achieved when impact is felt in more than one of these areas.